Mahler Chamber Orchestra has been the official Orchestra in Residence for the Heidelberg Frühling Music Festival since 2018 and will present two distinct programmes at the festival this year. 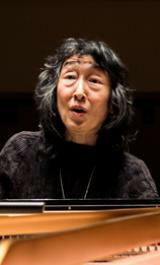 For this programme Mitsuko Uchida directs the MCO from the keyboard for Mozart’s Piano Concerto in F major, No. 19, K. 459 and his D minor Concerto, No. 20, K.466. 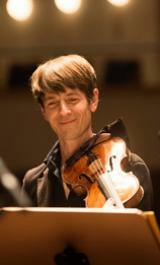 Also on the programme, Mahler Chamber Orchestra concertmaster Matthew Truscott will lead the orchestra in Three Pieces from the Lyric Suite by Alban Berg. The composer himself arranged this work for string orchestra in 1927, the three pieces taken from his original Lyric Suite, a 6-movement work for string quartet composed in 1925. With the orchestra’s beautiful string sound in mind, Mitsuko Uchida recommended this composition to the MCO. The Mahler Chamber Orchestra with Artistic Partner Mitsuko Uchida will continue to explore and collaborate for many years to come and look forward to future performances at the Heidelberger Frühling Music Festival.